Volume one covers the east of the Mississippi, from Florida to New York to Maine, as well as parts of the Midwest and Canada. Loaded with beautiful photographs, the book documents our travels from the majestic Deep South to the pristine mountains and coastlines of New England. Travel with us on a trip around the Great Lakes. Discover the beauty of Canada as we roam Ontario, Quebec, and the Canadian Maritimes. You’ll even see the untamed splendor of Newfoundland. 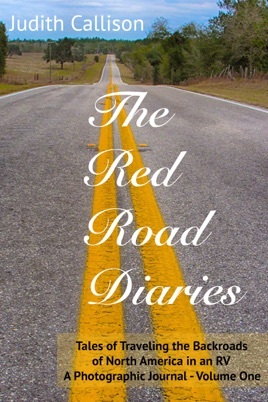 Whether you are just an armchair traveler or planning an adventure of your own, The Red Road Diaries will spark your imagination. Once you have seen the possibilities, you might be motivated to try the RV lifestyle yourself. You’ll pick up innumerable tips and suggestions regarding RV travel, as well as a wealth of resources to help you on your way. So come along as we explore life on the road, from the beauty of our National Parks to the oddities only found off the beaten path. The Red Roads await.